Casey Kasem's Daughter Scientology Claims are Total BS ... Widow's Lying to Deflect!!! Casey Kasem's daughter says his widow is throwing out bogus claims to try to discredit her family ... and thwart their efforts to get justice for his 2014 death. 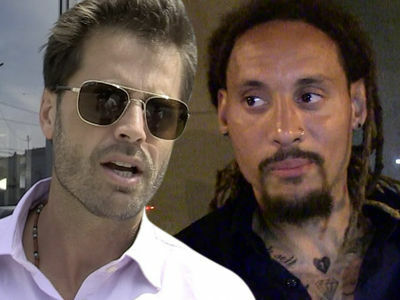 Julie Kasem tells TMZ ... Jean Kasem's recent allegations -- that members of the Church of Scientology and Casey's kids conspired to kill the radio legend for his money -- are blatant lies she's using to take the heat off herself. Julie admits her sister, Kerri, is a Scientologist, but says it doesn't matter ... because Scientology has absolutely nothing to do with the case. She then doubles down on her belief that Jean's elder abuse contributed to her dad's death. She also insists no money she or her siblings have received from their father went to Scientology, as Jean has also claimed. 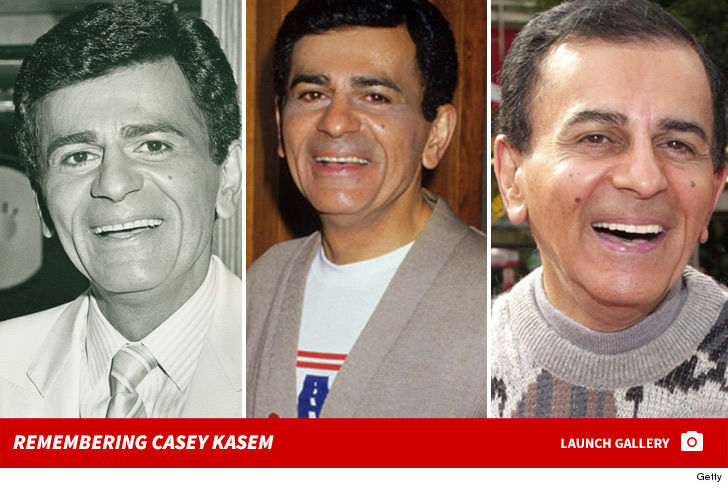 If you don't know ... police in Washington opened an investigation into Kasem's death last month at the request of Jean. As we reported ... they already filed a wrongful death suit against Jean in 2015. Casey's children claim Jean removed him from an assisted living facility in California and took him on a 7-day journey all over the Western U.S. ... but when they returned, he had a massive bedsore that was deeply infected. The suit alleges Casey died as the result of a staph infection, UTI, and sepsis ... all brought on by Jean's neglect. Jean's adamantly denied doing anything to harm her husband before he died. We got her outside the courthouse Wednesday, and she doubled down on her claims against the kids, and her ongoing legal battle for the estate. She's asking to be the executor of Casey's will ... but no decision has been made on that yet.